Authorities in Union County, North Carolina said they hope to begin an investigation late the afternoon of August 16 into the cause of an ammonia leak and explosion that closed a turkey processing plant near Marshville, and forced the evacuation of more than 500 employees, and nearby residents. Marshville’s mayor said the 25 families forced from their homes would not be permitted to return until officials are certain the dangerous ammonia gas has dissipated. “We hope that will be later today,” he said midday August 16. The mayor said the interior of the Pilgrim’s Pride plant, in the 5900 block of U.S. 74 West, suffered “considerable damage.” A company spokesman said late the morning of August 16 it is unclear when the plant will be able to reopen. No injuries were reported. By early the afternoon of August 16, the mayor said the leak was “under control, stable.” Company officials said the leak was discovered about 5 a.m. The mayor said there also was an explosion, although it was not clear if the explosion caused the leak, or vice versa. Emergency management officials were called shortly after 6 a.m., employees were evacuated, and company officials contacted the media and said the next shift had been canceled. Police from Marshville, Wingate and Monroe, along with the Union County Sheriff’s Office, were involved in the evacuations. Union County and various local fire departments dealt with the chemical spill. 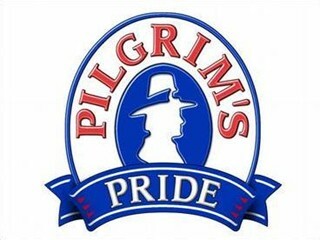 Editor’s note: Last month, Pilgrim’s Pride had a recall of products. 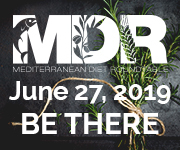 Mediterranean Diet Roundtable in Washington, D.C.